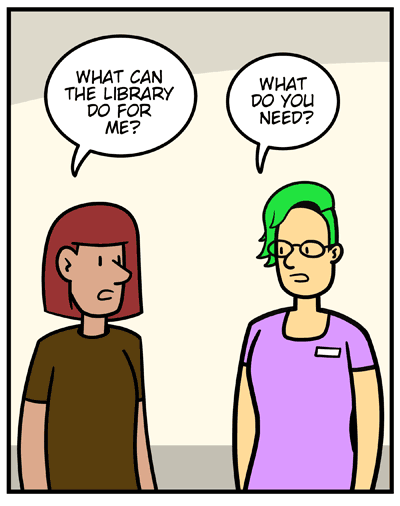 Patron: What can the library do for me? Jody: What do you need? 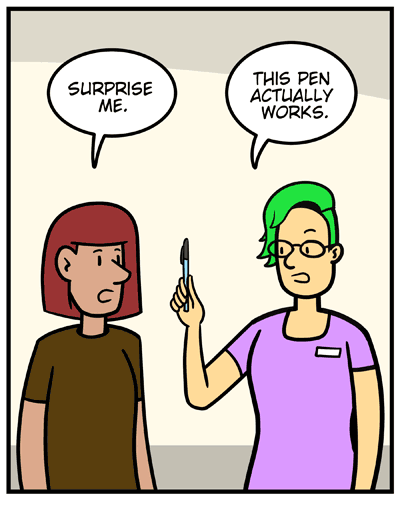 Jody: This pen actually works. 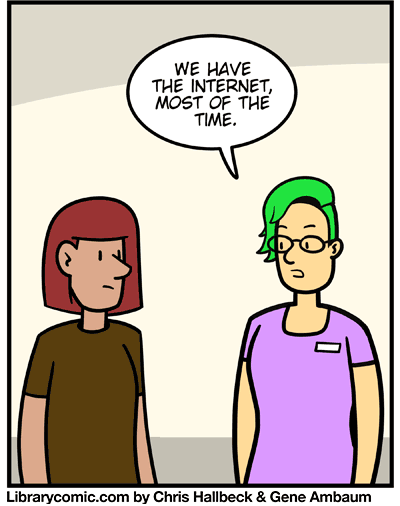 Jody: We have the internet, most of the time. Jody: Maybe you have a rant no one else will listen to? I’m feeling very patient. Yes. 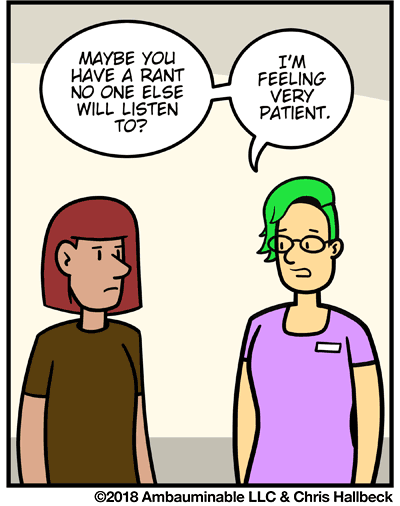 Listening to rants is also a service we provide. Whoa… they have a pen to spare. More impressive would be a sharpened pencil with an eraser!